Rae Gordon & The Backseat Drivers Are Going To Memphis! On an overcast, humid afternoon at the Waterfront Blues Festival, the Cascade Blues Association held its 17th annual Journey To Memphis finals. 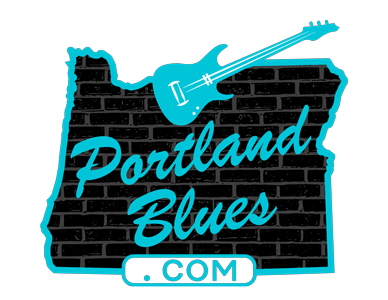 In early June, eighteen bands began the competition to select the Cascade Blues Association’s representative for the International Blues Challenge next January in Memphis. The Rose Room hosted two hard-fought evenings of music where CBA judges determined the four finalists to perform during the Waterfront Festival. One thing was certain, all four finalists were prepared to amaze our judges and delivered some of the very best performances ever seen in our competition. The Thunder Brothers started things out with exactly that — a thunderous set that set the pace for the day’s entire festival. Then the Beacon Street Titans brought a swinging show that had the dance floor moving. Rae Gordon & The Backseat Drivers then mesmerized the crowd with her soaring voice and muscular big band. Closing the competition was the Ben Rice Band showcasing his guitar prowess and vocals with a knife-sharp performance. This was an unbelievable combination of acts, and each band had the talent and musical ability to represent CBA in Memphis and make us proud. Given this incredible collection of talented musicians to evaluate, the judges definitely had the toughest job of the day. Scoring each act separately on blues content, vocals, instrumentation, originality, and stage presence had to be tough as all four acts brought the goods. 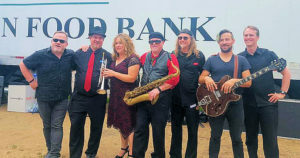 Huge kudos to our trio of judges, entertainment attorneys Bart Day and Peter Vaughan Shaver and Reno Blues Society board member Sherrie Clay, for taking on this role. Many thanks! When the dust cleared and all acts were finished, the scores came back hailing Rae Gordon & The Backseat Drivers as the winners of the day. This will be Rae’s second time representing the CBA in Memphis and her third trip overall. Her last trip found her reaching the semi-finals, let’s hope to see her go even further if not all the way to the top this time! Joining Rae in Memphis will be this year’s solo/duo winner David Pinsky, making his second appearance for the CBA, having represented the organization with Phil Newton two years ago. Also, young guitarist Timothy James will head back and participate in the Youth Showcase. We’d love to see a large grouping of CBA members and local blues fans head back to the International Blues Challenge to cheer our performers on. It’s well worth the experience if you can to see the future of the blues today. Good luck to Rae Gordon & The Backseat Drivers and David Pinsky!